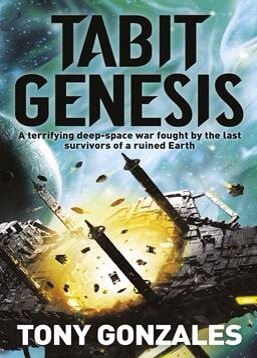 Described by the publisher’s press release as Game of Thrones meets Battlestar Galactica, Tabit Genesis is the first in a series that sounds very promising for sci-fi fans. Written by Tony Gonzales, a creater and writer for the Eve Online gaming franchise, Tabit Genesis is pitched as epic sci-fi full of space battles. Check out the blurb below.. When extinction threatens, how does the human race react? Does it crumble and fade away, or rally back stronger than ever? THE TABIT GENESIS explores these questions as the human population is devastated by an alien invasion, leaving the remaining survivors stranded on just two starships. Divided by light years and desperate to hide from their alien attackers, the ships are essentially alone in space, hiding from the deadliest predator that humanity has ever faced. If you’ve not heard of this latest, most awesome novel, I’m sure you will soon. In the meantime, here is the blurb..
Found guilty of a terrible crime he didn’t commit in 1986, 15-year-old necromancer Finn Gramaraye was exiled to the Other Realm for 25 years. But now he s back in the mortal world and is disappointed to discover that he’s middle-aged, DeLoreans can’t fly, and he’s been framed for using dark magic, again. All Finn wants is to pick up the pieces of his life and patch things up with his family: his mad scientist father, the ghost of his mother, a sister who is allergic to magic, a younger brother who thinks he’s a werewolf and an older brother who is most unhappy to see him. But with just three days to clear his name before he is sent back into exile forever, Finn will need all the help he can get to figure out who wants him gone, and why. Henderson’s debut is fantastic. It’s fast paced, funny and packed with an excellent cast of characters. There’s drama, heartache and action. Plus, added bonus, there’s loads of ’80s references (for us old enough to remember it in all it’s glory). The plot is thick with mystery in the style of a ‘whodunit’ caper that keeps you guessing all the way yet the magical system, rebooted for a technological age of apps and iPhones, is really well handled. Our protagonist Finn, a 15 year-old in a 40 year old body has too much to handle from teenage love to murderous secret societies and the whole bundle is wrapped up brilliantly in witty, snappy dialogue. 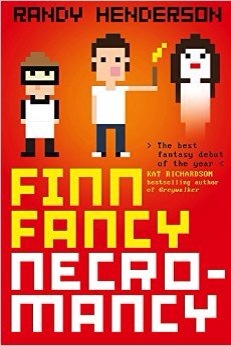 Much has been made about Finn Fancy Necromancy having similarities to Ready Player One. That’s unfair; both share ’80s elements but are wildly different books – though both are brilliant. Henderson has a wonderful comic sense and is an accomplished character writer. The cadence of the story and the world he has created, especially the gnomes, is truly astounding. Personally, I can’t wait for the next instalment in the adventures of Finn and his family. Gollancz introduces Al Robertson with a crash..
Gollancz are set to publish a two book series by the Brighton based author, Al Robertson. 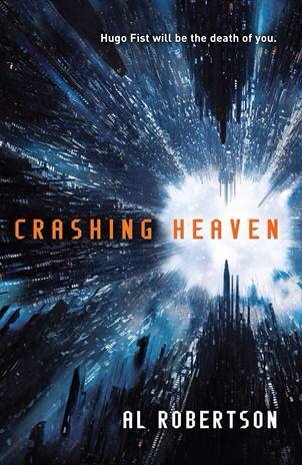 Crashing Heaven is being pitched as a mix between William Gibson’s cyberpunk and Alistair Reynolds hard, dark sci-fi. Sounds awesome! Check out the blurb below..
That title sounds a little self-important but I just wanted to write a post explaining that I haven’t totally stopped blogging and, well, it seemed to hit the right note. It’s been a while and I didn’t mean to go this long without posting. But, life eh? Work, a young child, the daily grind plus ramping up training and joining a new BJJ gym all meant there was little time to read or review. However, a concerted effort to regain one of my favourite hobbies, alongside martial arts, has meant that I’m back in the game. I did read one book whilst I’ve been maintaining blog silence but it took so long and was read in such small spurts that I think it really affected my judgment of it. I’ve been really wanting to read David Brin’s Uplift War series for quite some time and had finally collected the opening sequence of books from various secondhand shops (before the big continental move). As such, I’d put them to one side away from the teetering book tower to ensure I could get at them and, obviously, read them. The premise was right up my street and I had high hopes. Unfortunately, whether it was the circumstances I was in or something else, Sundiver, the first in the series, did not gel with me. The background to the story was excellent; a large alien existence made up of numerous races; humanities own endeavours to raise up intelligent species from the animal world; politics, conflict on Earth and in space. All great. But, the caveat for me was the awkward main character and his depiction. His backstory, a heavy handed tragic loss, was clumsily shoehorned in to the story. Plus, it felt like a very ungainly way to shape the protagonist as a damaged but tough guy. None of it sat well with me and the later introduction of a very embarrassing, and slightly teenage level, romantic interest took the wind out of my sails. 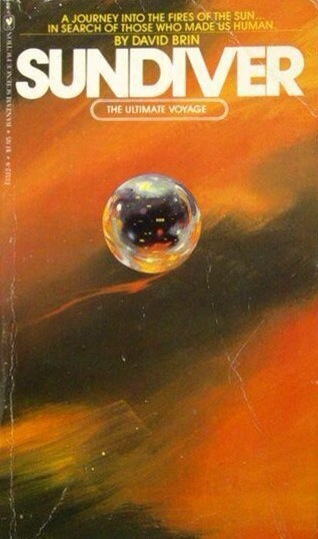 The ideas in Sundriver were exemplary big sci-fi. But maybe I wasn’t committed enough or perhaps the decades since it’s publication had aged it somewhat. A shame, but I doubt I’ll be reading the rest of the series soon.